Here at Book Liaison we are giving away a $10 Amazon Gift Card! Just fill out the Rafflecopter form below to enter. And be sure to check out our other Giveaways while you're here. Hope you all have a wonderful holiday & happy reading! Happy Independence Day! Try to avoid having any fireworks shot at you! Happy 4th! If I win I think I'll get The Art of Wishing! I'm currently reading The Book of Broken Hearts by Sarah Ockler. Thanks for the giveaway! Thank you for the giveaway. Have a safe and fun Independence Day! Thank you for a chance to win a gift card. Thanks for the great giveaway. Have a wonderful 4th of July weekend! Have a great Independence Day and thank you for the opportunity! Happy Fourth and thanks so much! thank you very much for the giveaway! Hope you have an awesome 4th! Thanks for the giveaway! I hope you have a great and safe 4th of July! I look forward to reading and spending time with family. Happy holiday to you all. 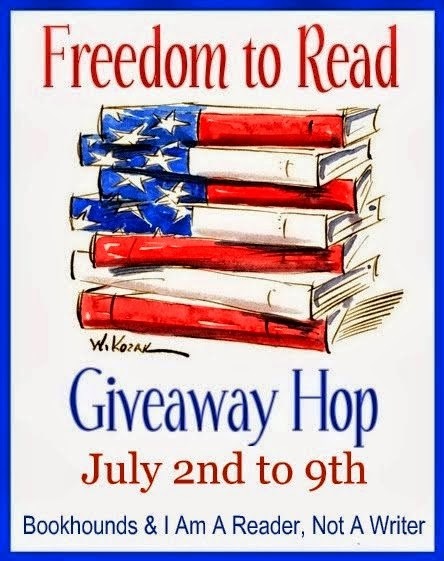 Thank you for joining this blog hop & have a happy safe 4th of July! Thanks for participating in this hop. I love winning gc to buy more books. I hope you enjoyed some fireworks today. Thanks for the giveaway! Thanks for the giveaway! There's a couple of books I would love to use this on. Thank you! Thanks for the giveaway! The perfect chance for saving for a new kindle! Thanks for the awesome giveaway! Hope you had a good 4th of July! Thanks for the chance to win. Happy 4th of July! Great giveaway and giveaway hop! Thank you so much! Great way to celebrate Independence Day! Thanks! Happy 4th for all those who celebrate. Thanks for the easy entry. Appreciate the giveaway! I hope you had a Happy 4th! We were rained out here. Thanks for the chance to join your giveaway. Happy 4th and thanks for the hop! THanks for the chance! I hope you enjoyed your Independence Day! Thank you for the giveaway and participating in the blog hop, they are so much fun! I hope you had a great 4th! I love when the 4th falls on a Friday or Saturday. It makes it so much more enjoyable! Nothing like a good book, thanks for the giveaway!